Wow, a hidden gem located just outside Old Town Alexandria, 10 mins from National Harbor, 1 block to the Metro, 20 minutes to Ft Belvoir and to the new Amazon Headquarters! Owner has lived here 11 years and updated everything! New lighting, new hardware on doors, Kitchen, bathroom, ceilings, added crown molding, newer wall units, a modern/contemporary wood wall in dining area and is leaving behind a glass built in dining table. Freshly painted in new designer colors. Fabulous natural light with view of mature trees. Unit comes with a storage bin and access to a bike storage room. 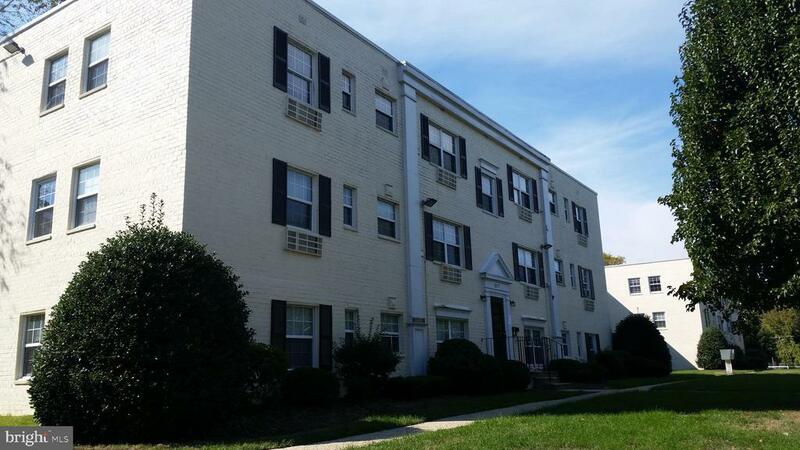 Water, gas, sewer, trash, landscaping and snow removal included in monthly condo fee. Off street private parking with 2 parking passes. No Open House, but hurry as these units sell very quickly! Directions: From 495: Telegraph Rd S to Huntington Ave; turn on Farrington Ave; 2237 is last Building is on the right. From Rt 1 S: R onto Huntington Ave, Right onto Farrington Ave; Building is last on the right. Inclusions: Installed glass dining room table. Selling Office: McEnearney Associates, Inc.